This vintage spumante stands out for the quality of its ingredients and for its aging in small oak barrels for seven months. 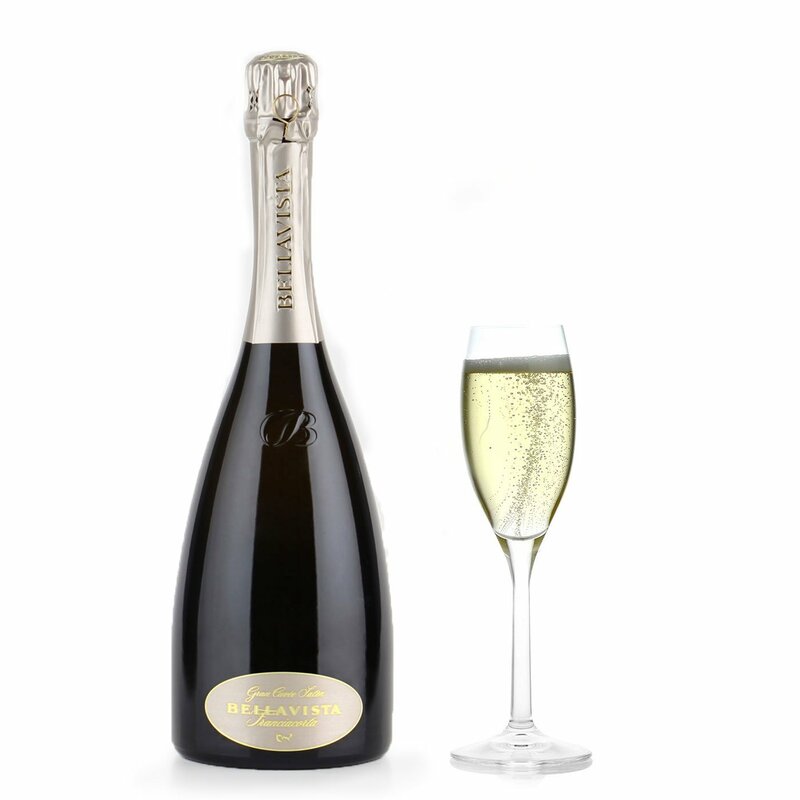 Made exclusively with Chardonnay grapes, it is lavishly frothy and boasts an astonishingly fine and persistent perlage. A brilliant straw yellow, intense and complex on the nose, with vivid glimpses of peach, honey and hazelnut. Feminine, frisky and inviting, it unfolds on the palate with effortless elegance. Produced in limited quantities, this Cuvée is the result of expert selection from an authentically prestigious wine cellar. The inimitable wines produced under the Bellavista label start life on history-soaked Lombardy hillsides looking out towards Lake Iseo, the Po Valley and the Alpine peaks. Here, since 1976, expert craftsmanship, respect for age-old vine-growing and wine-making principles, plus a passion for perfection, have united to exploit an extraordinary terroir to the full. Elegance, stylishness and personality: these are the dominant traits of the wines produced by Vittorio Moretti, who pursues quality in every phase of the productive process, through constant research, wine culture and learning. This is the vision behind the creation of Bellavista wines. Their unique sensorial qualities provide tangible proof of a gifted wine-maker's passion for fine wine.